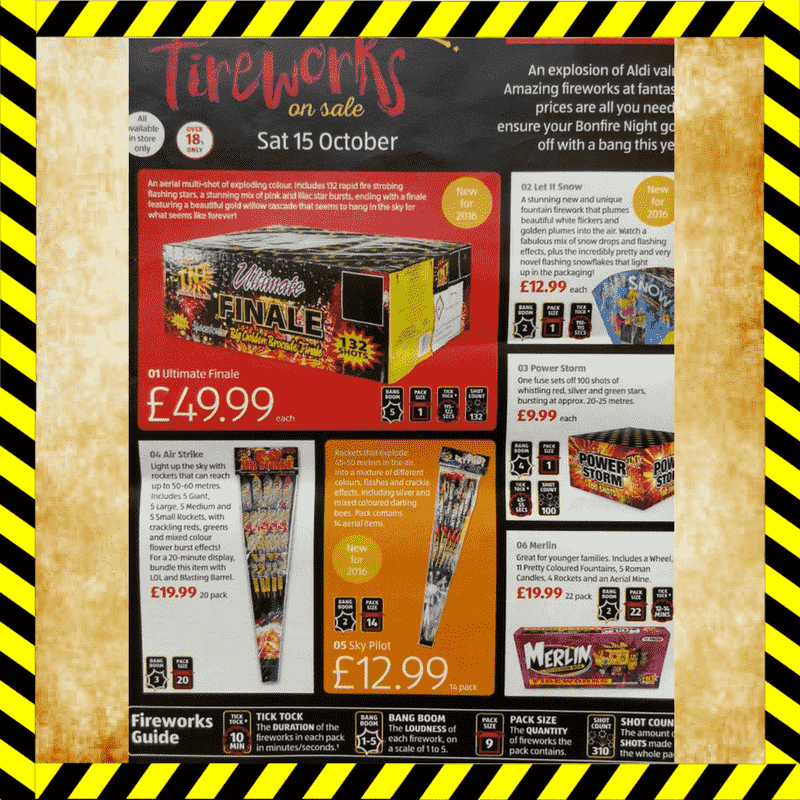 Aldi Fireworks On sale to the public from 15/10/2016, Aldi leaflet as follow, for 2016, TNT fireworks Brand was Aldi choice. Below you will find the entire leaflet, that will be available across the participating nation stores. 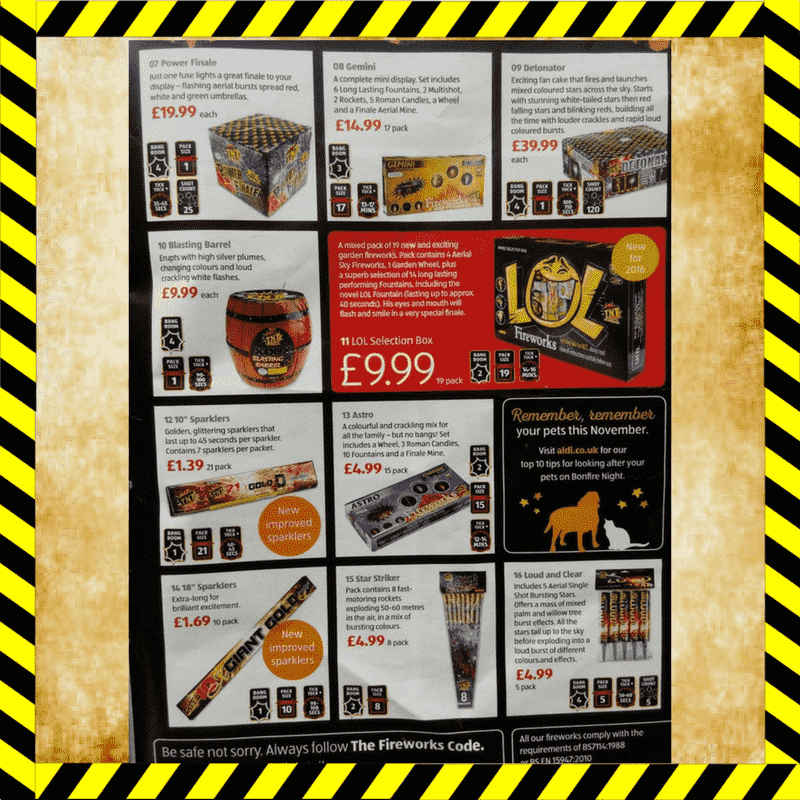 I am looking to purchase some fireworks for New Year. Can you please advise me as to how to go about this? My nearest store is Ayr.